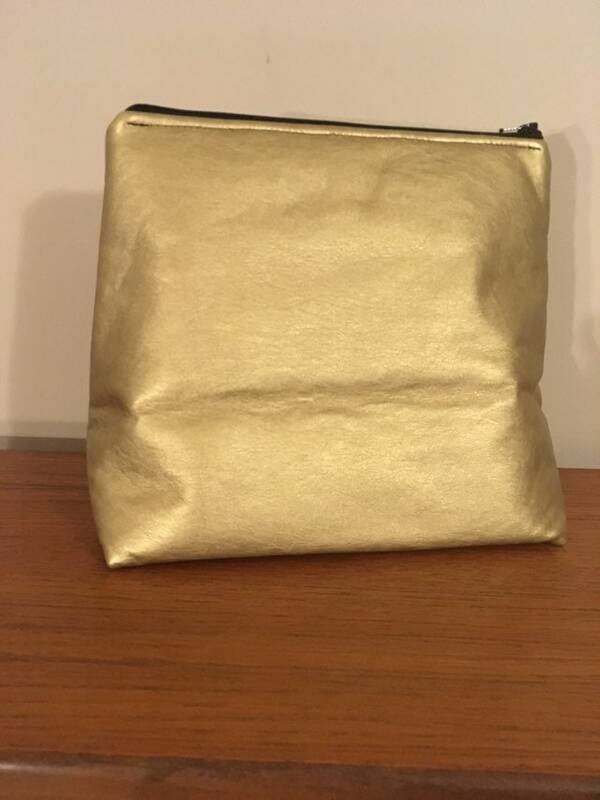 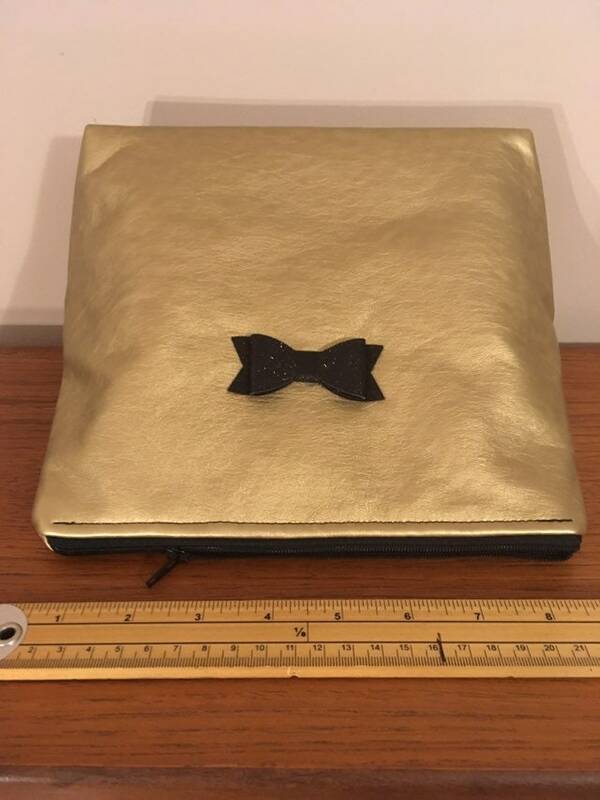 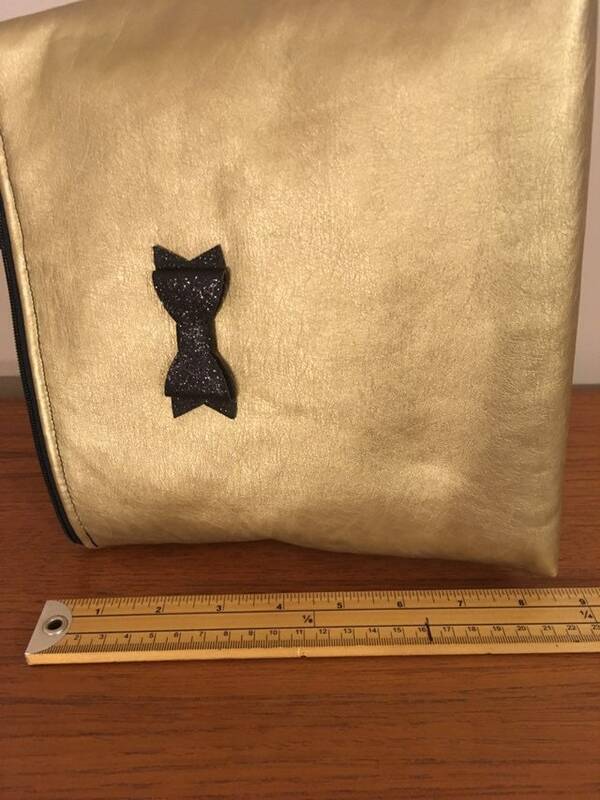 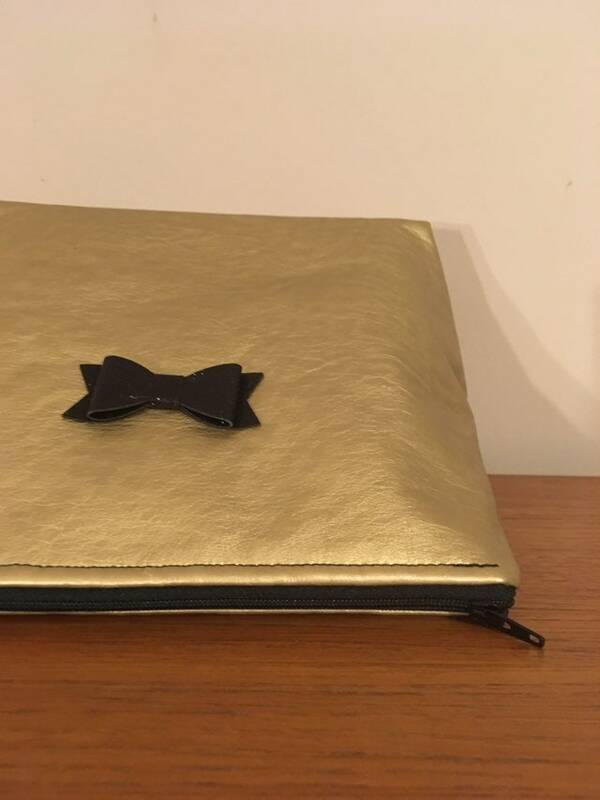 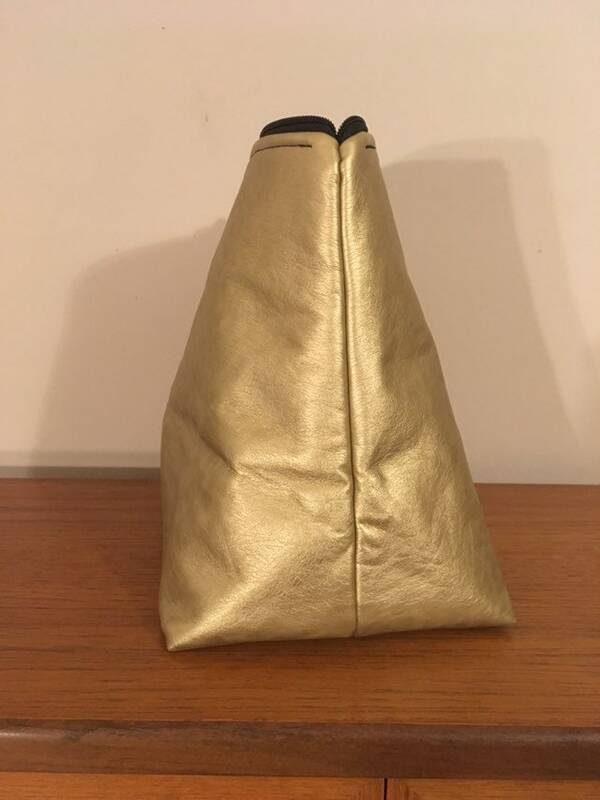 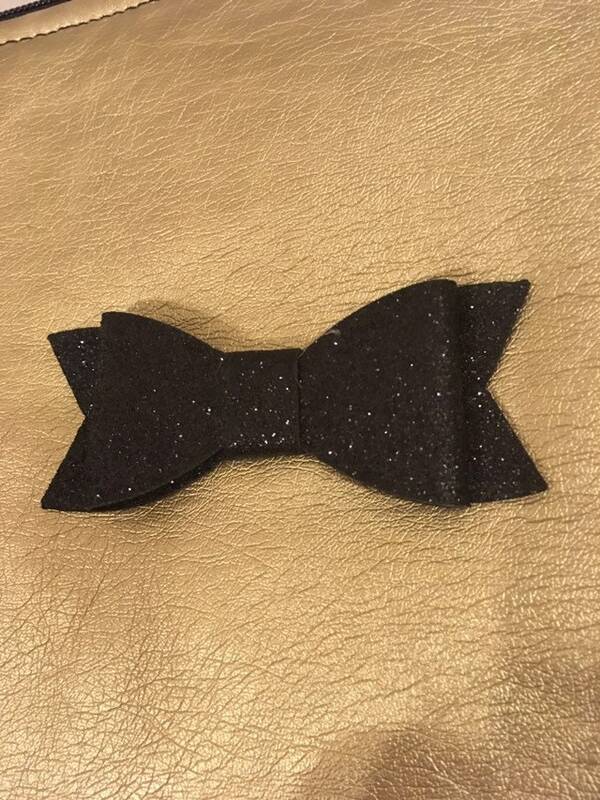 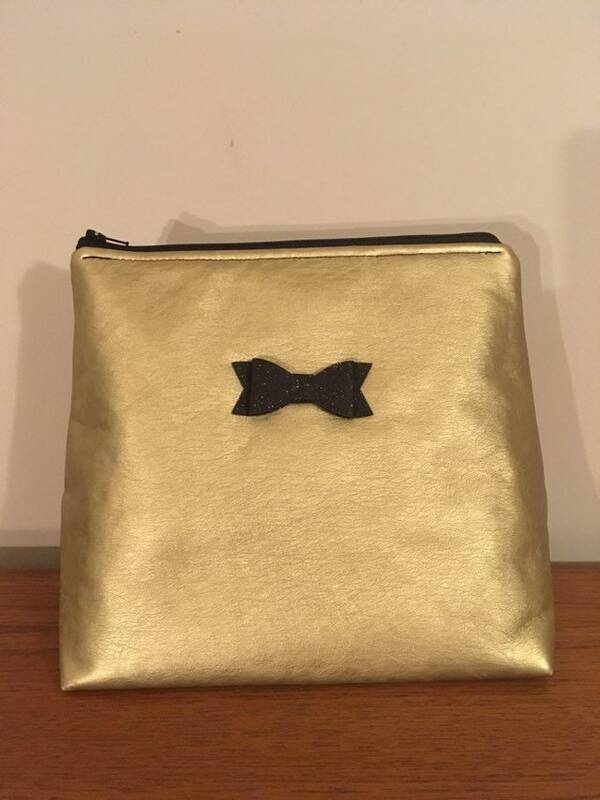 Beautifully soft and glamorous, gold, faux leather cosmetics bag with glitter bow. 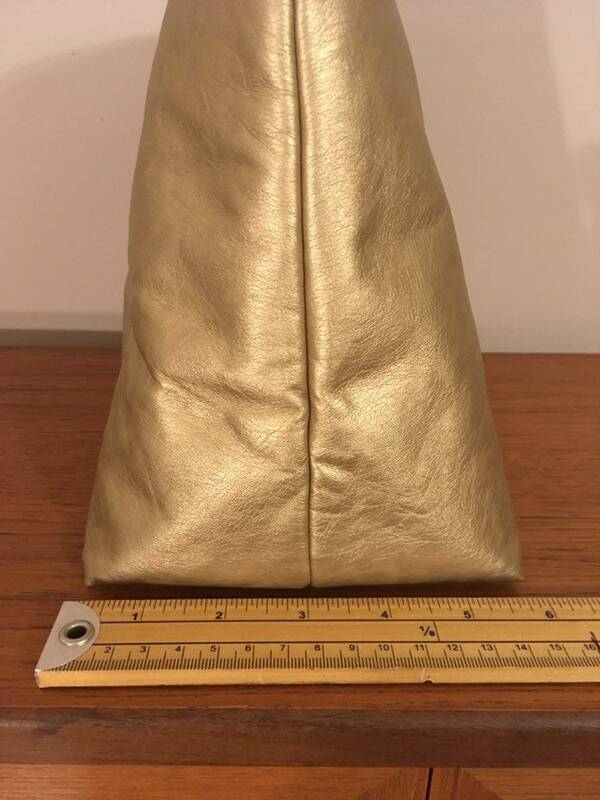 Large inside. 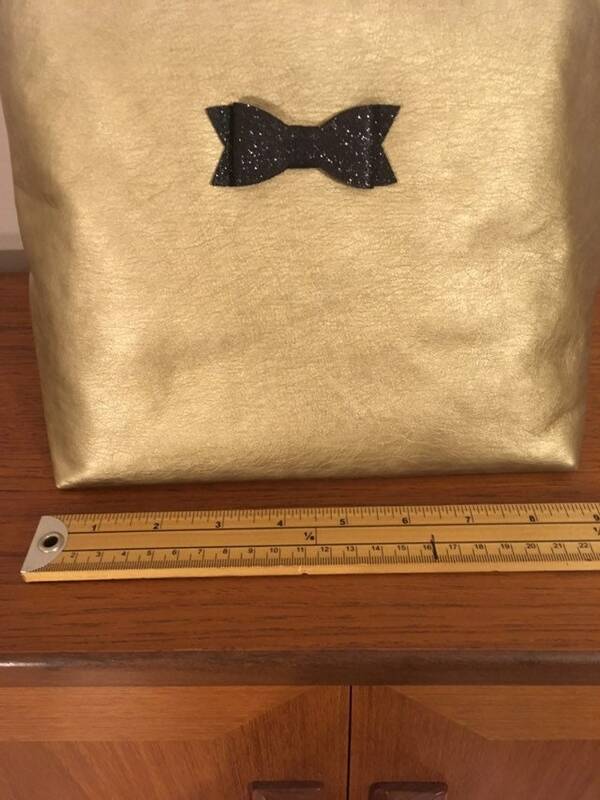 Lined with polycotton. 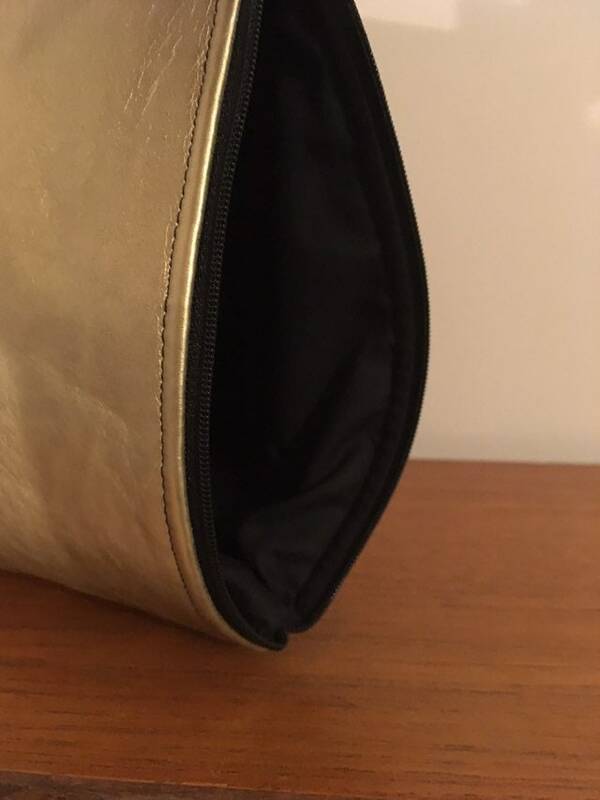 Zippered.